Kokoro Gin is a London Dry Gin with a Japanese Heart. Sansho berries are the gin’s star ingredient, grown wild in the Afan Woodland in the Japanese Alps. The berries are handpicked at the start of the season, frozen and packed in dry ice to be shipped back to the UK for distillation. The berries are combined with juniper, lemon peel, sweet orange, almond, angelica root, liquorice and coriander seeds to balance the peppery berry flavour. 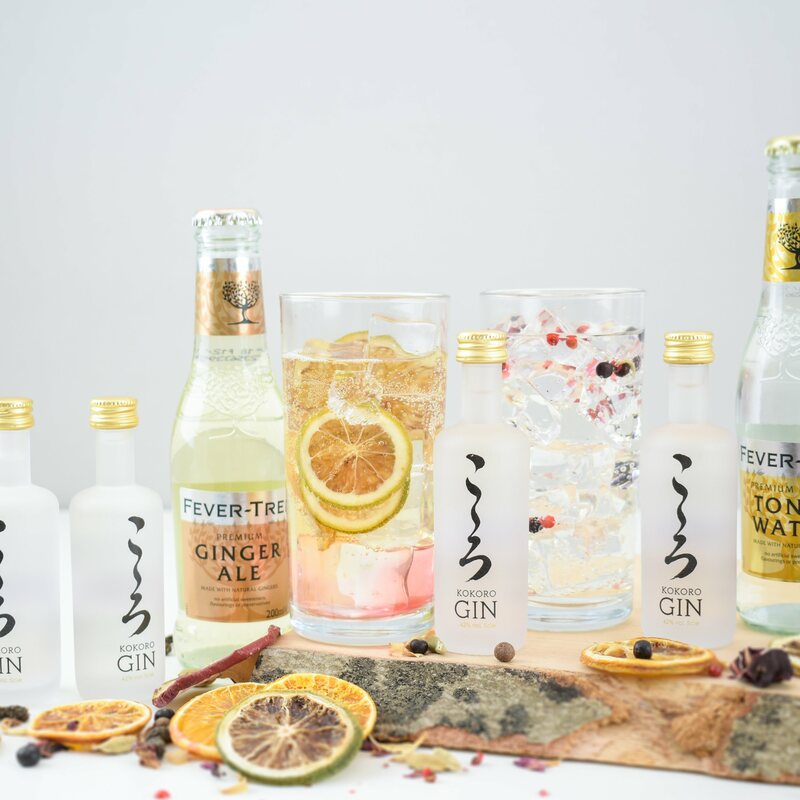 The name Kokoro means ‘heart’ in Japanese, in reference to the soul and essence of a place, with the gin transporting you to the Japanese forest. Our Kokoro Gin and Tonic Set features four miniature bottles of Kokoro Gin alongside the distillery’s selected serves - Fever-Tree Indian tonic and Fever-Tree Ginger Ale. 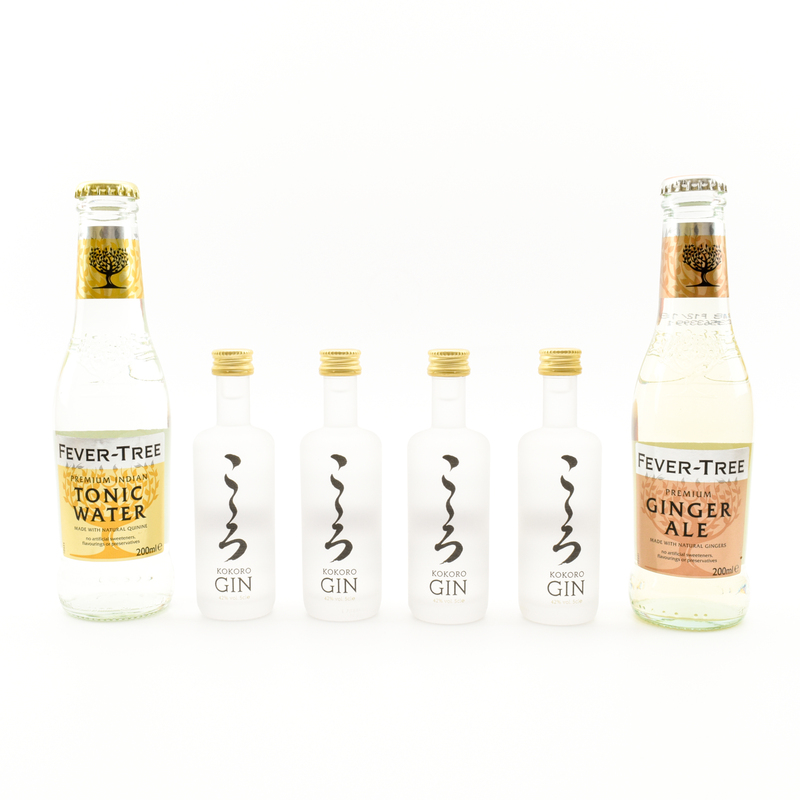 The Kokoro and Tonic Set comes ready to mix, with everything you need to sample up to eight delicious serves.This is a must-have gift for any gin lover. A Kokoro Gin and Tonic Set is the perfect way to explore and enjoy this modern, classic gin alongside premium mixers.Perfect for weddings, birthdays, celebrations, congratulations and thank yous.